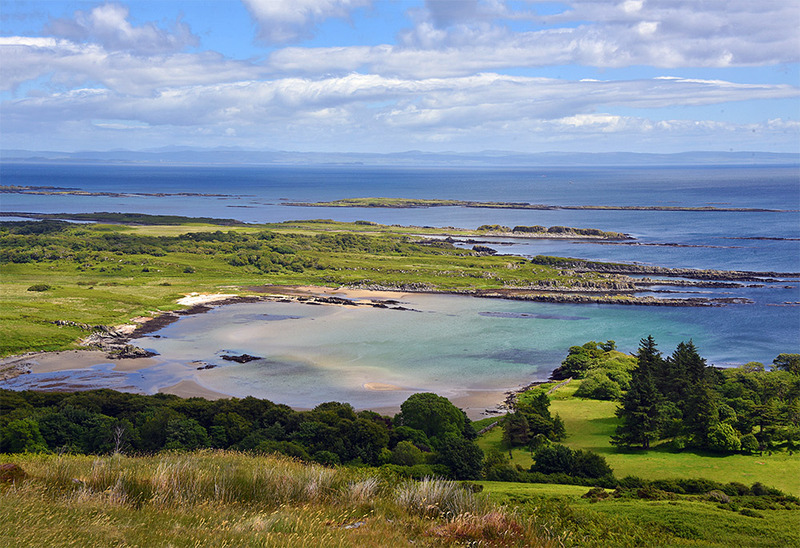 A panoramic view from Fairy Hill (Cnoc Rhaonastil, 109m) over the south coast of Islay. Ardilistry Bay (left) and Loch a’ Chnuic (right) just below, Kildalton House hiding in the woods to the right. 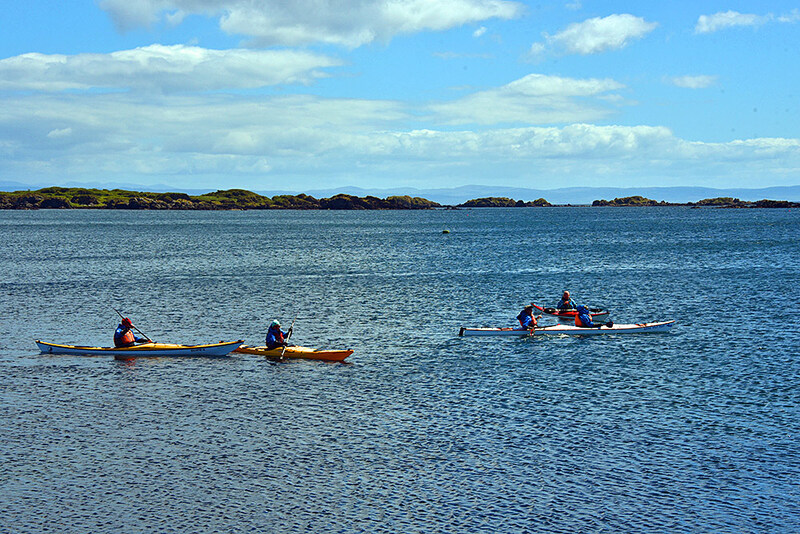 The Southern Skerries towards the left.